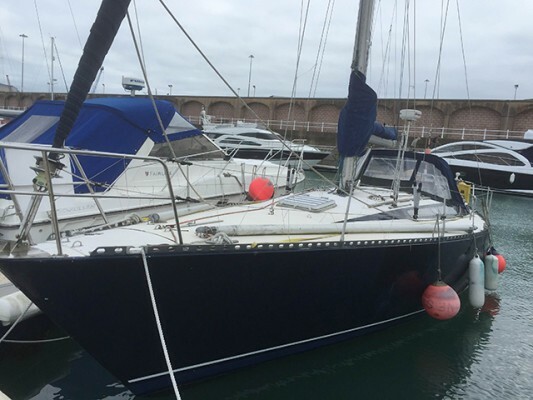 Practical Boat Owner: A yacht that was donated by a Jersey boat owner to help raise funds for shelters for migrants and refugees who are facing a cold winter in Calais camps is urgently awaiting sale. Boat owner Michael de Petrovsky visited the camps with aid and construction workers and was so touched by the plight of people living there that the pensioner has now given his seven-berth racing cruiser Contango to Mr Najib. The money raised will be used to build emergency shelters in the French port town. More than 300 shelters are needed at a cost of $1,700 each; each shelter can accommodate 20 people and provide facilities for eating and lighting. Mr de Petrovsky is continuing paying the boat’s £350 a month mooring fees in Jersey until it is sold. Practical Boat Owner: In 2016, the Solitaire du Figaro race will stopover in Cowes on the Isle of Wight for the first time in the event’s 47-year history. The solo offshore race will start from the historic French town Deauville, France on 19 June 2016. Up to 40 sailors are expected to be on the starting line, for the race that will cover 1,525nm between four European host venues – Deauville, Isle of Wight – Cowes, Paimpol and La Rochelle. A close coastal route looks set to present new challenges for the solo skippers in 2016. The Solitaire du Figaro is claimed to be one of the world’s toughest sailing competitions, the ‘world championships of solo offshore racing’, with the course taking just over a month to complete. The race pushes competitors to the edges of their physical and mental limits. For the first time in race history, in 2016 the Solitaire du Figaro will stopover on the Isle of Wight. 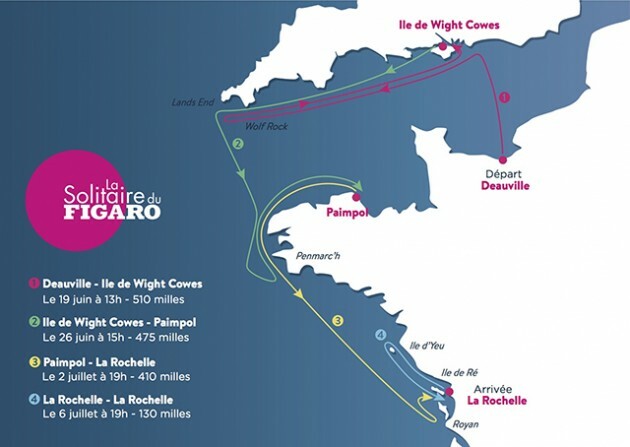 Following the success of the last UK stopover in Torbay, the Isle of Wight would hope to see 20,000 visitors pass through the Solitaire du Figaro race village over five days. The Solitaire du Figaro had a hugely positive economic impact on Torbay in 2015, injecting roughly £1.8million into the seaside town. The event will bring not only a professional sailing race to the pontoons of Cowes Yacht Haven, but a bustling race village to Cowes Town. Free and open from 22nd to 26th June, the Race Village will offer five days of fun family entertainment in Cowes, including food markets, a drinks bar, live music in the Race Village and try sailing for all on the Solent – courtesy of the official event charity UKSA. Plus a host of interactive stands and activities and an education program focused on coastal conservation and the environment for local children. Starting Leg 1 from Deauville, the fleet will race the longest 510-mile leg across the channel, around the south of the Island to Lands end, before heading east along the UK south coast towards the finish line in Cowes – a maritime town famous for its unique sailing waters. The Solitaire du Figaro Race Village will offer five days of fun family entertainment in Cowes, including food markets, a drinks bar, live music in the Race Village and try sailing for all on the Solent. Alongside the racing and live entertainment, there will be a host of interactive stands and activities to entertain the public. Expected to arrive on the Isle of Wight around the 22 June, the Solitaire du Figaro will stay in the UK until Sunday 26 June, when the fleet will set sail on Leg 2 (475nm) to Paimpol in Brittany. Leg 2 will take skippers back along the south coast of England and around the iconic Wolf Rock. From there, they will cross back into French waters to a mark off of Penmarc’h, sending the fleet north along the coast of Brittany past Ushant and through the infamous Raz de Seine. From Paimpol, the fleet will race 410nm to La Rochelle, back through the Raz and cutting across the fickle waters of the Bay of Biscay. To end the 2016 Solitaire du Figaro, competitors will race a final 160nm around Île de Ré, an island linked to La Rochelle by an impressive bridge, and the small fishing island of Île d’Yeu. A short but tricky route, the tired skippers will be careful to avoid fish farms, trawlers and the wind shadows of the Islands.